Racial discrimination in the workplace occurs when you as an an applicant or employee is treated unfairly because you are of a certain race or because of personal characteristics that are associated with race such as skin color, hair texture or certain facial qualities. When someone is discriminated against you because of your skin color complexion, it is considered color discrimination. Whether you are treated unfavorably due to your race or skin color, it is illegal and can be used as grounds for filing a racial discrimination claim under both State of California and Federal law. If you have suffered racial discrimination at your workplace it is important to seek legal representation to ensure that your rights are protected. The racial discrimination attorneys at Rawa Law Group can help you file a claim against your employer and get you the compensation you deserve. Racial discrimination can happen in many different situations. Often employees are harassed, fired, laid off or passed over for promotions because of their race. These practices are illegal and employers can be held accountable if they are found guilty of them. 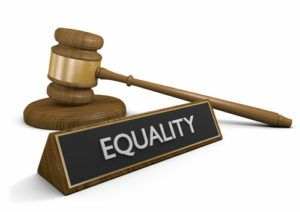 Race/color discrimination also can involve treating someone unfavorably because the person is married to (or associated with) a person of a certain race or color or because of a person’s connection with a race-based organization or group, or an organization or group that is generally associated with people of a certain color. A direct act of harassment in the workplace because of a person’s race or color is also illegal. It is unlawful to use racial slurs, offensive or derogatory remarks about someone’s race. Additionally, an employment policy or practice that applies to everyone, regardless of race or color, can be illegal if it has a negative impact on the employment of people of a particular race or color and is not job-related and necessary to the operation of the business. The law also protects “whistleblowers” – employees who inform government or law-enforcement agencies that their employer is breaking the law. Additionally, employees are protected from retaliation if they complain about racial discrimination to their employer or its management. Employees who are subject to unlawful termination and harassment may be able to recover the following: past lost wages and other benefits; future lost wages and benefits; general damages (including emotional distress and pain and suffering); punitive damages; and attorney’s fees. Have you been the victim of Racial Discrimination at your job? If you have experienced racial discrimination at your workplace and need help in filing a claim or understanding your rights and options, please contact the racial discrimination attorneys at Rawa Law Group for effective legal representation. We can help you fight back against the injustice that you have suffered.